As many of you know the first Social Media Week 2012 has just taken place with London as the UK host city and as part of that we attended and delivered an event on Thursday evening called Socially Scotland, alongside Inner Ear and KILTR. The event was in part sponsored by McClure Naismith and made all the sweeter thanks to the generosity of Tunnocks, WEST Beer and the Ayr Brewing company. Our sincere thanks to you all. 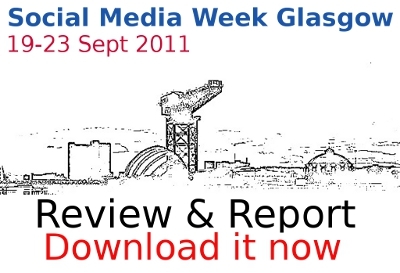 Our part in the evening was to give an overview of the scope and impact of Social Media Week 2011 in Glasgow. The curation of an event like Social Media Week is a significant undertaking. Even though it is a crowdsourced event, and most of the events are created by participants, there is still a great deal of time, effort and worry involved in making it happen. When we started the process of pulling together the Glasgow end of that with our colleagues at New Media Corp pretty much no-one we spoke to had heard of it despite it already being a colossal global presence. 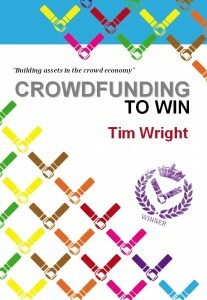 This meant that when we were speaking to potential sponsors and partners we had to do a lot of explaining. What was particularly challenging was to explain that we had little idea who would take part, the number of events, the nature of event hosts, because of the crowdsourced format. Most similar events are highly targeted and base their offer on a highly defined set of characteristics. Social Media Week is not like that and what has gone before may well not reflect the nature of the next iteration. So for those that did get on board, it was a leap of faith and we salute their courage and vision. None regrets it. Some that didn’t probably do. That said, we felt it was well worth trying to understand a bit more about what happened last September. Who came, what they covered, and capture for posterity some record of a week that for us will remain long in the memory and stand as an endorsement of something we are very proud of, as should all those people that made it happen. To do that we collated a good deal of quantitative data, ran a review evening for some more qualitative feedback, and completed the delivery of some legacy projects for Creative Scotland that formed part of their investment in the week’s success. We have drawn that material together into the form of a report that we now share with you, because it was your week as Alan Bisset put it in the promotional video. We hope you enjoy the report, find it interesting, share it, comment on it and look back as fondly as we do to “That Week” in September 2011.